Aegis Cremation & Funeral Services in Binghamton, NY is proud to provide traditional funeral and cremation arrangements for families of all faiths and cultures. We work hard to tailor our services to your needs and wishes. We will build and customize a plan that is right for you and your family that is cost-effective. 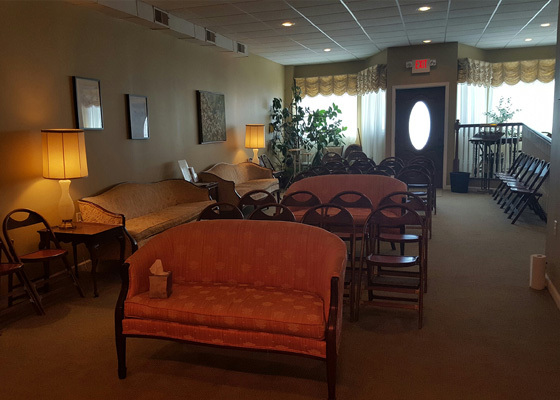 We are family-owned and operated under the direction of owner Paul Mikeska and have held numerous funeral and cremation services for over 27 years. We hold services for families throughout Broome and Tioga Counties in NY and Susquehanna County in PA, including Binghamton, Johnson City, Vestal, Endicott, Endwell, Montrose, Forest City and the surrounding cities. Our staff is dedicated to ensuring your loved one is honored and remembered in a dignified and respectable manner. We’ll work with you on every detail of your service—from selecting a casket or urn to making reception arrangements—to exceed your every expectation at an affordable price. Not only do we offer a variety of options for funeral and cremation services, but we also offer various memorial products so you can cherish the time and memories you’ve shared with your dearly departed for years to come. Call 607-729-5520 to discuss funeral arrangements or cremation services with someone on our staff. Dear Paul & Beth, Thank you for all your kind help during our most needed time, the death of Lauretta. Lauretta’s days of peaceful rest were complete with beauty & dignity. Thank you again.